The University of Manchester is building the UK's National Graphene Institute (NGI) with help from the UK government's £50 million graphene drive. Today the University announced that it appointed the NGI's business development and strategy director. Nathan Hill (a physicist turned business manager) will focus on strategy and business development for the NGI. Nathan's first goal will be to set up a graphene industry club and a number of strategic partnerships with major companies. 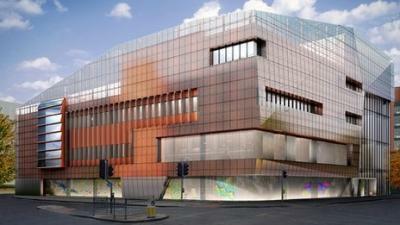 The University hopes Nathan will help them ensure that they remain the "home of graphene research".